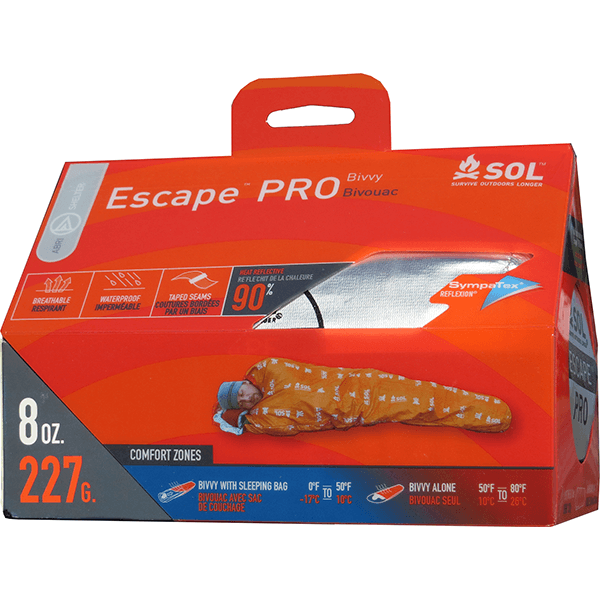 The Escape™ Pro Bivvy evolutionary material provides dry, warm comfort you can trust. 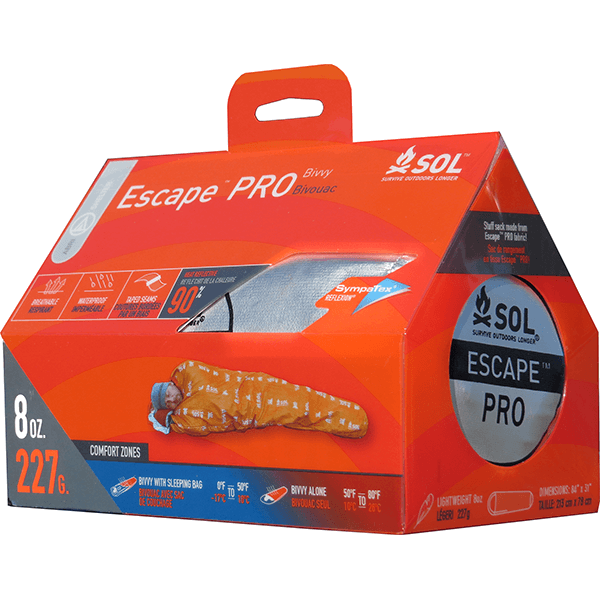 Engineered to be breathable, waterproof and heat reflective, the Escape™ Pro allows condensation to escape while keeping the elements locked out and the heat in. 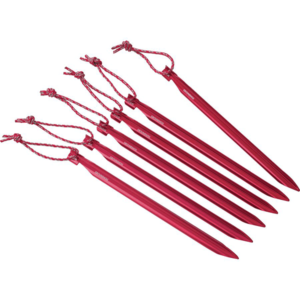 Use it as a protective barrier for your sleeping bag and add 15°F of warmth by reflecting 90% of your body’s heat back to you. 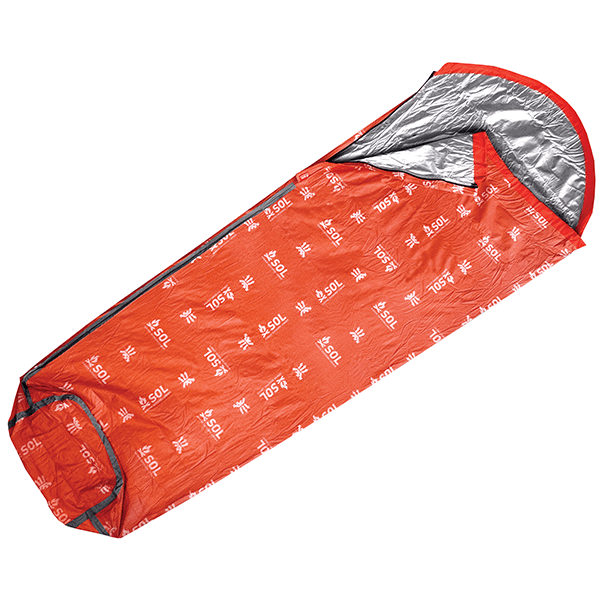 On evenings above 50°F, leave your sleeping bag at home and travel ultra-light. 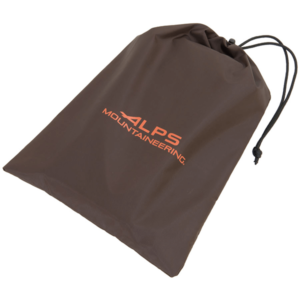 At only 8oz and with its compact design, its one little bivvy you can depend on! 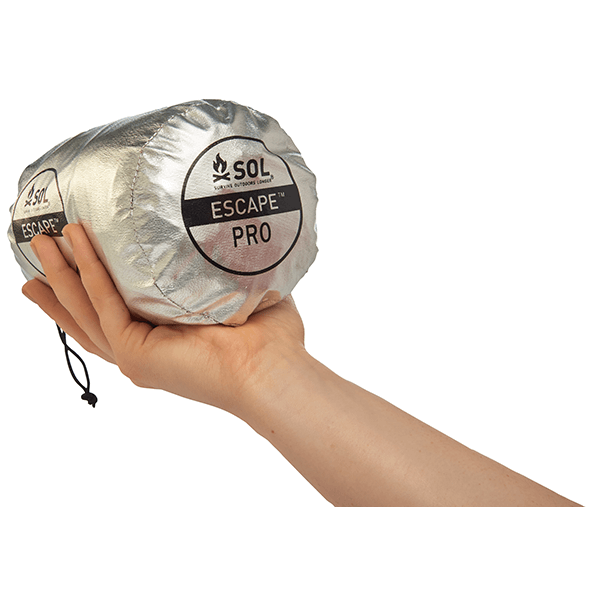 SKU: SOL0140-1232 Categories: Survival Essentials, Sleeping Bags, Tarps and Shade Shelters, Tent Floor Savers, Tents Brands: SOL Survive Outdoors Longer. 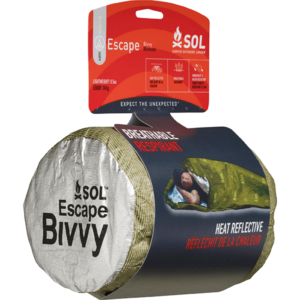 As humidity in the bivvy increases, the bivvy becomes more breathable and maintains it’s waterproofness. 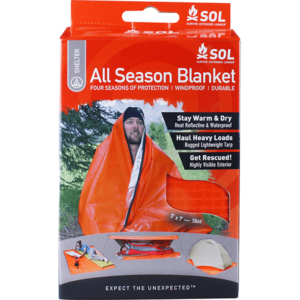 100% waterproof seams and material to keep you dry during those damp nights in the back country.